21/04/10 Former Carlisle MP, Eric Martlew, is delighted that English Heritage have agreed to his request to list the Turkish Bath suite in James Street in Carlisle. 02/02/10 Vote Stevenson and the Hare gets it! 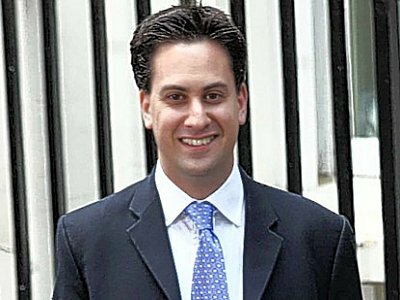 Senior Labour figures in Carlisle have welcomed the selection of Ed Millband as the new Labour Leader. Although Ed narrowly lost out in the CLP vote he won many plaudits as the only candidate to visit Carlisle during the General Election. He overstayed his planned schedule to help Mike Boaden campaign in a number of city wards. "I have worked with all the candidates. I think there are four - Ed and David Miliband, Ed Balls and Andy Burnham - that could do the job. But I think that Ed is the one that would do the best job. The party needs to look at what went wrong and learn from that. Ed seems to be the only one of the leadership campaigners who has had the energy to come up to Cumbria." "I've been a long-term admirer. I was very impressed when he came to Carlisle during the election campaign, in terms of the work he did on the doorstep that day and I've been impressed with the way he has conducted himself during the leadership campaign and by the issues he's been talking about, in particular his living-wage campaign." 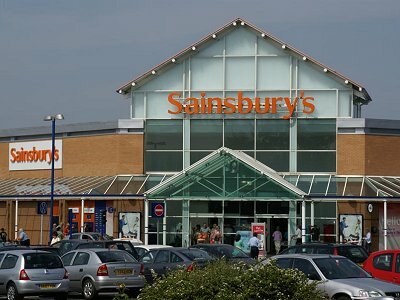 Eric Martlew, the retiring MP for Carlisle, today hit out at Carlisle City Council for once more delaying the Sainsbury planning application for a superstore in Caldewgate. "The application has been put back again until June and is yet another example of the inability of the Tory/Lib Dem controlled Council to take any decision to improve the city,"
"The excuse given for the third delay is guess what?..... They are waiting for another consultant's report! Shades of the £6m Renaissance debacle I think." "This development will clean up Caldewgate, provide jobs and competition and is what the vast majority of people want. "Could it be that it has been put beyond the local elections on 6 May by the Tory/Lib Dem leadership for political expediency? "The real question people must ask at the local election is - do you want progress or do you want the City to continue to stagnate under the Tory/Lib Dem alliance?" Former Carlisle MP, Eric Martlew, is delighted that English Heritage have agreed to his request to list the Turkish Bath suite in James Street in Carlisle. 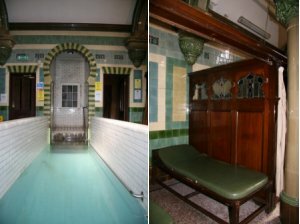 Following persistent rumours that the City Council were considering demolishing the Turkish Bath suite, Eric submitted a detailed application to have them listed, which included photographs of the beautiful tiled interior. "I am pleased that English Heritage have agreed with me that they should be preserved for posterity." Decorative Scheme: the original internal decorative tiling and glazed faience work by the respect company Minton and Hollins of Stoke, notably in the cool room, is of good quality and complete. Intactness: alterations are few and the original plan of the bath remains intact which renders the Turkish Bathing process highly useable. Rarity: this building is an increasingly rare example of a once common building form, of which only around 20 remain in English; it compares very favourably with the eight existing listed Turkish Baths.
" It is time that the City Council gave this hidden more publicity and that it is used to attract visitors to the City." Young cows like this could be factory farmed. 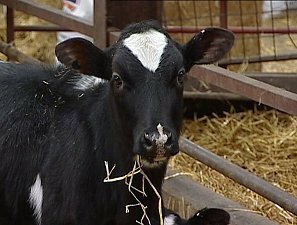 Eric Martlew MP, Chair of the Associate Parliamentary Group for Animal Welfare, has written to the main supermarkets about the proposal to ram over 8,000 cows indoors for the majority of their lives in the UK's largest diary farm. "Business is being encouraged to become more sustainable, particularly as the environmental agenda remains high profile. Supermarkets should demonstrate their commitment to this as well as to high welfare. However, sourcing milk or milk products from such large-scale intensive dairy units where cows receive only minimal grazing is totally contradictory to the good work undertaken in other areas." 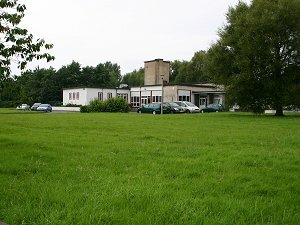 Mr Martlew pointed out that the proposal to construct the large farm in Lincolnshire would also be a very real threat to rural life and the livelihoods of smaller dairy farmers in the UK who face a serious risk of forced closure as they cannot compete with pricing and supply as a result of such large scale developments. "Opening one 8,000 cow unit could mean closing down 100 farms with around 70 cows. That could affect rural areas across the UK and will also result in less market choice." Mr Martlew has asked that the supermarkets (Tesco, Sainsbury, Asda, Waitrose, the Co-Op, Marks & Spencer and Morrisons) consider making it clear that they would not support such methods and seek to ensure they sell only sustainable and high welfare products. Carlisle's MP Eric Martlew, is continuing his long campaign for a super surgery to be built in the Botchergate area. Following the plans to build a super surgery at Hilltop Heights being put on hold Mr Martlew met with senior officials of NHS Cumbria (the primary care trust) to discuss possible alternatives. "We had a very positive meeting and I took them to see a number of possible sites in the Botchergate area." "The advantages of Botchergate are many,"
"A super surgery in the south of the city would cater for those in greatest need. The area is well-served by buses from Harraby, Currock, Upperby and Botchery and would not need the massive transport subsidy from health funds that Hilltop Heights would require. "Such a significant building would be a double benefit for the area - a state of the art surgery and the catalyst for the renaissance of the Botchergate area." 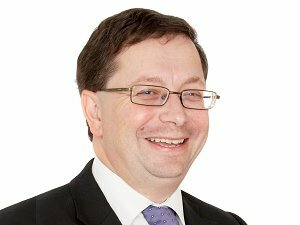 "I have also spoken to Steven Broomhead, Chief Executive of the North West Development Agency, who would be happy to meet with health chiefs to discuss the possibility of some financial help." Carlisle's MP, Eric Martlew has seen his dream of a museum - pub dedicated to the former Carlisle & District State Management Scheme come one step closer and his idea has gained support from Cumbria Tourism. "The nationalisation of our pubs during the First World war was a unique experiment,"
"Even since its demise in 1971 it is still viewed with fond nostalgia by many local people." "I have contacted a number of organisations seeking support for my idea to develop a museum pub and there is a local brewery, which actually produces sate Management Bitter, who are also very keen to see the project succeed. "I have been pressing Cumbria Tourism for some time to acknowledge that this project would be a great attraction in Carlisle. All too often they have given support to rural initiatives while here in the city we have a unique story to tell." "At long last I've received a letter stating that Cumbria Tourism will look at ways of helping my initiative to get off the ground. It is to be discussed at a meeting of the Historic Quarter Steering Group on 8 March and I hope they will give it positive and practical support." It saddens me to have to write this article but the anger and the frustration I feel at the appalling lack of progress leaves me no option but to air my views on Carlisle Renaissance. I've come to the end of my tether with the shenanigans involved with this scheme. As Member of Parliament for Carlisle, and also as a victim of the January 2005 flood, I had great initial optimism for the "rebirth" of our city. It provided hope and encouragement for so many after so much adversity. We are now into the sixth year since the floods and what is there to see of the regeneration - this rebirth? What has happened since January 2005? £6.6 million of public money has been spent. There has been a plethora of plans drawn up by consultants on an array of schemes. Yet not one brick has been laid. What and where is Carlisle's Renaissance? Carlisle Renaissance was launched in August 2005 by the then Deputy Prime Minister, John Prescott. He was most supportive at a strategic level and ensured that funds would be forthcoming for the vital work necessary to lift Carlisle from the drastic consequences of the flooding. Work was urgently undertaken on major flood defences for the city. The Government put its money where its mouth is and invested £30 million to ensure that Carlisle would be one of the best protected cities in the UK. Comprehensive schemes have been completed in the Warwick Road area, in Denton Holme, at Hardwick Circus, and is near to completion in Caldewgate. Homes and businesses, including the major employer of McVities, will be protected to withstand conditions worse than those experienced in 2005. The Flood Defence Scheme will finish ahead of schedule and I would like to take this opportunity to pay public tribute to the professionalism and competence of both the Environment Agency and the contractor, Volker Stevin. So the Government has fulfilled its pledge to safeguard the city. What about the pledge of Carlisle Renaissance? What has happened to those grandiose schemes? - Those heady days when Rickergate was going to be totally re-vamped and Civic Centre to be replaced by a 4 star hotel? Now there are no plans. The area is in limbo and this situation will be made worse when the Fire Station moves. The policy vacuum is unfair, especially to the residents of the area. It has been conveniently forgotten about because the solutions are difficult and contentious. 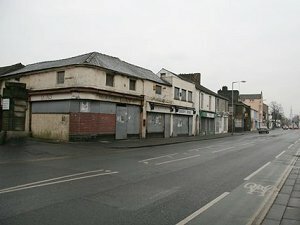 But Rickergate is not the only area to be ignored and abandoned, others are in need of urgent regeneration. Shaddongate / Caldewgate, Botchergate / St. Nicholas and the top of Warwick Road where the significant building of the former Lonsdale Cinema and the Post Office are now being left to rot. So one can say that the life of Carlisle Renaissance has not been a happy one. It started off with optimism but has now degenerated into near farce. Why is this? The answer is through lack of leadership by the ruling administration on Carlisle City Council who seem to prefer to employ consultants rather than take decisions to make things happen. 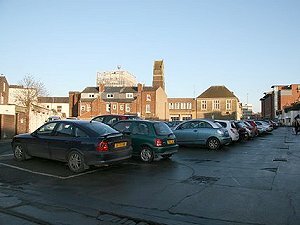 Things became so bad that in 2008 control of Carlisle Renaissance was handed over a private-sector led board because of the failings of the political leadership on the City Council. This "cop-out" handed the responsibility for Carlisle's future to an un-elected quango, with only two members of the twelve member board living in the urban area. Unfortunately, this transfer of power, without accountability, has proved to be the "mixture as before". In the meantime major projects has been initiated by others rather than the Renaissance Board, For example, the Carlisle Northern Development Route, unprecedented levels of investment in education - two new Academies, extensive new build at Trinity and Caldew Schools, the modernisation of Carlisle College and the new Police Headquarters in Carlisle which has replaced the Police Station in Rickergate which was flooded in 2005. These are real, tangible achievements that will help bring further prosperity to Carlisle. And, it beggars belief that this Renaissance Board is trying to claim credit for such things as the University of Cumbria and the establishment of the headquarters here in Carlisle. This project was well underway and nearing completion long before Carlisle Renaissance tried to hi-jack it. Those supporters of Carlisle Renaissance will point to the plans for Castle Street and will hail them as a success. While I welcome work being undertaken there I do believe there are those areas, previously mentioned, that are in much greater need and cannot afford the luxury of time before being given a face-lift. Another issue of concern is the role of the Renaissance Board with regard to the headquarters of the University of Cumbria. As I was the first to suggest the location of the Viaduct site I supported this objective. But it is totally wrong that the Renaissance Board and not the City Council have been given the task of negotiating with Tesco over a land-swap. This situation has significant financial implications which should be outside the remit of the Renaissance Board. Now that the University are not able to commit to development within the next 10 years plan, it means that the Council land at Morton, designated for a superstore, should be sold to the highest bidder on the open market and not be part of some land deal with Tesco. Anything less transparent will be open to a legal challenge. A further criticism I have concerns the recent Renaissance proposals for Court Square. These plans to remove traffic from the area may superficially improve the look of Court Square and the Citadel Station but there is one major flaw - it completely ignores the fact that the station is a major transport hub! Any improvements must make the Citadel Station more accessible - not less. There needs to be an integrated scheme which allows ease of access by foot, cycle, car, taxi and buses - this is how people get to railway stations. It appears that the Renaissance proposals are more inclined to inconvenience the travelling public, many of whom will have heavy luggage, in order to achieve their objective of "prettifying" an already impressive area. If they really mean business and want to improve matters they should address the problem of the totally inadequate bus station. So where do we go from here? Too much time and too much money has been wasted - on a monumental scale. They have insulted our intelligence. They have duped us into consultation. They have raised our expectations - only for schemes to be abandoned or aborted - not only at great financial cost but also at the cost of peoples' hopes and aspirations. The one constant factor in this whole sorry mess has been the role played by the controlling Conservative/LibDem Alliance and its leader, Councillor Mike Mitchelson. I have known Mike for many years and on a personal level I have always found him to be a nice, pleasant and reasonable man. 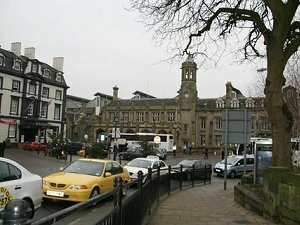 However, under his leadership the controlling Group have shown a disgraceful lack of ability, commitment and courage, with a reluctance to take charge and responsibility, which, in essence, has led to a situation where people have lost faith in Carlisle Renaissance's ability to improve the city. Unfortunately, I fear the style of the present chairman, Bryan Gray, has led to a further breakdown in trust in the Renaissance project. This could well be due to his lack of knowledge of the city and perhaps his inexperience in working within the democratic process of local government. The Renaissance bid for Carlisle to become the City of Culture in 2013, a bid which has not been before Carlisle City Council for agreement, grates with many people, as their priorities are the re-generation of the most run-down parts of the city - something that Mr Gray and his Board seem reluctant to tackle. However, following last week's announcement by the University that they were unable to progress negotiations for their HQ and Campus on the Viaduct site we now have a very confusing situation. The Leader of the Council, Cllr Mitchelson, said " I believe the authority may have to go back to the drawing board." Cllr Mike Boaden, Leader of the Labour Group, the largest group on the council said, " It is off the agenda." But the Renaissance Chairman, Bryan Grey, said, "I think we can carry on as planned." It begs the question - Who is in charge ? The Council or the Quango ? We are now between a rock and a hard place. A council unable or unwilling to take decisions and an unelected and unaccountable private-sector led board who are using public money chasing schemes that we, the public, have little scope to influence. But the Council is ultimately to blame for abrogating their responsibilities. So what is the ultimate choice? In conclusion, I think that the "Renaissance" brand is damaged beyond repair. I, therefore, suggest a return to a tried and tested method which has served our city well - the way in which the Lanes were developed. This highly-acclaimed, multi-million pound regeneration scheme totally transformed our city centre. How was this done? By a courageous council who, having decided to proceed with the development, gave responsibility for its delivery to a small cross-party committee of councillors which was served by local government officers and private-sector experts. They streamlined the decision-making process and were able to fast-track the development but, ultimately, they were always responsible to the Council and, through that, to the people of Carlisle. Vote Stevenson and the Hare gets it! Carlisle's MP, Eric Martlew, has strongly condemned the Tory candidate, John Stevenson, who has pledged to support the reintroduction of blood sports. "A very upset constituent sent me a copy of a letter she had received from Mr Stevenson in which he stated that if elected he would vote for the repeal of the Hunting Act which would bring back hunting with dogs." "He was unequivocal. No ifs, no buts. He would support legislation that would allow a pack of dogs to tear a wild animal apart. 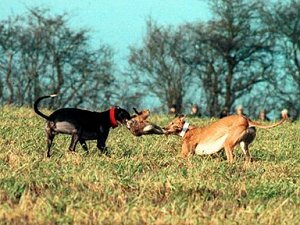 It means that as well as the return of fox hunting there would be the return of the barbaric practice of hare coursing. My message to the people of Carlisle is clear - Vote Tory and the hare gets it." "To wade into the argument at this late stage beggars belief." "Cllr Stevenson should have supported me in arguing the case for a school to be retained at Belah. He should have had the courage of his fellow councillor, Alan Toole, who put party politics aside and supported my campaign. But Cllr Stevenson probably did not want to fall out with his Tory colleagues on the County Council." "His silence was deafening when children as young as 4 years old were being ferried across the city from Belah to other schools. You didn't have to be a rocket scientist to realise that Stanwix & Kingmoor Schools would not be able to cope. Cumbria County Council have now acknowledged this fact and are having to provide extra classrooms!" "Cllr Stevenson has waited until the bulldozers are at the school's gates before becoming involved with the problem." "Could the imminent General Election be the reason?" Eric Martlew, Labour MP for Carlisle, has backed plans for guaranteed catch-up support and one-to-one tuition for children falling behind in the 3Rs and stronger discipline through tough home-school agreements. The measures are part of the Labour government's Children, Schools and Families Bill, which Eric Martlew MP, voted to support last night but was opposed by Conservative and Liberal Democrat MPs. and the opportunity for every primary pupil to learn a musical instrument . 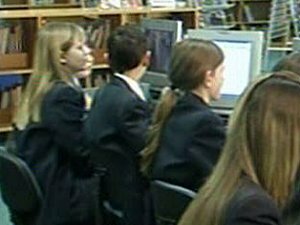 The guarantee of one-to-one tuition for children falling behind in literacy and numeracy has already been backed by £2,111,189, of extra funding this year for schools Cumbria. "Schools in Carlisle have been transformed over the last twelve years. Exam results are up, there are more teachers and teaching assistants and school buildings have been revamped." "But we now need to go even further with a new '3Rs guarantee' of catch-up support, including one-to-one tuition, for children in primary school and in the first year of secondary school who are falling behind in English and maths." "Parents also tell me they want their children to learn in an orderly school where discipline is tough and the bad behaviour of a few, which disrupts the learning of the rest of the class, is not tolerated. So I support plans for tougher home-school agreements, with all pupils and parents accepting the school's rules when they apply for a school place - and clear consequences if they are broken." "That's why this week I've supported the government's Schools Bill, which passed through Parliament despite David Cameron's Conservatives and the Liberal Democrats voting against it." "We can only keep school standards rising and support the aspirations of all young people in our area by continuing to invest in our schools. And while Labour has guaranteed real terms rises in funding for schools for the next three years, the Tories would make immediate cuts to local schools if they win the election this year." "That's because they have decided to prioritise an inheritance tax cut, which would give £200,000 to the 3,000 richest estates, instead of frontline services like schools and families which thousands of families in our area rely on. This will mean fewer teachers, fewer teaching assistants and bigger class sizes, which is the last thing I want to happen to our local schools." Carlisle's MP, Eric Martlew, has been lobbying the insurance industry to alter its policy in Carlisle. 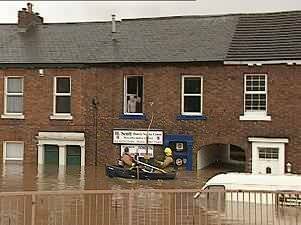 "The 2005 flood in Carlisle affected thousands of properties and since then peoples' insurance premiums have rocketed. But now, with the flood defences in place there should be a reduction in costs." "The Environment Agency have a map showing the area that has benefited from the flood defences and the Association of British Insurers has stated that they would expect insurance companies to take these into account and for the reduced risk to be reflected in insurance premiums." Michael Boaden, who has been chosen to take over from Eric Martlew as the Labour candidate for Carlisle at the next General Election, spoke today of his dismay at the lack of progress in regenerating the City since the devastating floods of 2005. "On this anniversary of the worst floods in living memory we should pause to remember those who tragically died on that terrible weekend, the devastating consequences for so many people across the City and the massive impact it had on all of us whether directly effected or not. "At the time the Labour Government pledged to help to rebuild Carlisle. They have kept their side of the bargain with the best flood defences in the country almost complete, a brand new state of the art Police Headquarters to replace the premises devastated in the floods and massive further investment in the City through the Academies, the Northern Development Route and a variety of other major capital projects. "Sadly the efforts from outside have not been met by similar work from our political leaders on Carlisle City Council. The Tory leadership spent a fruitless few years after the floods harassing and cruelly treating the people of Rickergate, who had been flooded and were then faced with the threat of their houses being demolished months after they had moved back in. A successful public campaign led by that community fought off those proposals and left the Council with nothing to show except the ownership of an Italian restaurant. "Changing tack the Council then placed the regeneration of the City into the hands of an unelected, unaccountable Carlisle Renaissance Board, who currently seem determined in an effort to show that they can achieve something to do a bad deal with Tesco for land that may we learn may never be fully developed by the University of Cumbria. "It is very sad that following the disastrous floods of 2005, with profound effects on the lives of so many and even after major investment from the Labour Government the City itself as represented by the Council and Carlisle Renaissance seems to be making such little progress." 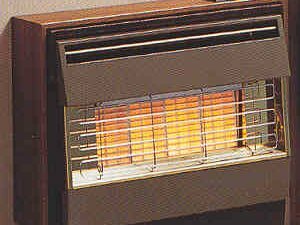 Eric Martlew today told vulnerable families in Carlisle not to worry about turning up the heat as the Government pays out millions in Cold Weather Payments. Around £200 million in payments has been racked up so far this winter, with just over £70 million of this over the cold New Year's weekend. "As the cold weather continues, I don't want vulnerable people to feel left in the cold. I especially want the elderly to know that extra help is on the way. "There are two ways we are helping this winter - with Winter Fuel payments of £250 or £400 for the over 80s, and 9,900 people in our area getting the increased Cold Weather Payments of £25. "The payments are automatic so everyone entitled will get them and should not worry about turning up their heating." Nine new weather stations were introduced this year in a bid to provide a more accurate assessment for those affected. As well as the Cold Weather payments, over 12.3 million older people will benefit from Winter Fuel payments, totalling about £2.7bn. Carlisle's MP, Eric Martlew, has written to the Local Government Ombudsman asking for an investigation into the controversial closure of Belah School. said an angry Mr Martlew. "I argued for a smaller community school at Belah but it seemed that the then Conservative council were determined to close Belah to save money. Last month the Council took a decision to demolish Belah School and expand Stanwix, Kingmoor and Rockliffe Schools at a substantial price not only financially but will mean overcrowding, especially in Stanwix, where we will see the return of portable classrooms." "The last two years have been a nightmare for some families living north of the river with some infants having to be ferried by Taxi across the city to other schools." "The County Council have got it badly wrong and have never had the decency to apologise. Hopefully, this investigation will get to the truth of what went wrong and who is to blame."